Operation and Control in Power System by P.S.R.Murty In power system engineering, practically all results of modern control theory can be applied. Such an application will result in a more economical, more convenient and higher service quality operation and in less inconvenience in the case of abnormal conditions. For its analytical treatment, control system design generally requires the determination of a mathematical model from which the control strategy can be derived. While much of the control theory postulates that a model of the system is available, it is also necessary to have a suitable technique to determine the models for the process to be controlled. It is therefore essential to model and identify power system components using both physical relationships and experimental or normal operating data. The objective of system identification is the determination of a mathematical model that characterizes the operation of a system in some form. The available information is either system output or a function of the system output. The input may be a known function applied for the purpose of identification, or an unknown function which could possibly be monitored, or a combination of both.The planning of the operation and control of isolated or interconnected power systems present a large variety of challenging problems.Solving these requires the application of several mathematical techniques from various sources at the appropriate process step. 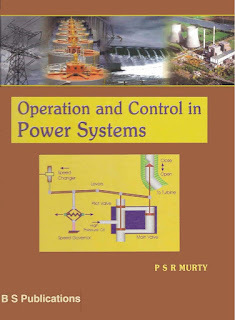 Moreover, the knowledge of optimization techniques and optimal control methods is essential to understand the multi-level approach that is used.Operation and Control is an introductory course text for undergraduate students in electrical and mechanical engineering. It deals with the operation and control of power systems, ranging from load flow analysis to economic operation, optimal load flow, unit commitment, load frequency, interconnected systems, voltage and reactive power control and advanced topics. Various models that are needed in analysis and control are discussed and presented through out the book. This second edition has been extended with mathematical support material and with methods to prevent voltage collapse. 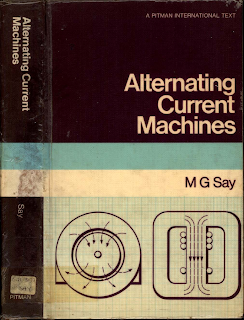 It also includes more advanced topics in power system control, such as the effect of shunt compensators, controllable VAR generation and switching converter type VAR generators.